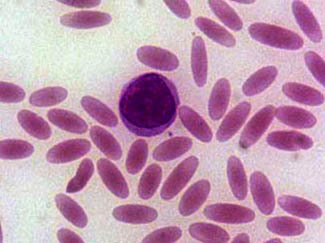 It is generally well known that the sickle-cell disease, relatively common in parts of Africa, or rather its associated allele when heterozygous, has a protective effect against malaria, specifically to the variant caused by Plasmodium falciparium. But there is at least another adaption to another kind of malaria: the one caused by P. vivax. This one, the SE Asian ovalocytosis (SAO), has only been discovered and studied in the last years and seems to exist only in some populations of Malaysia and Papua. This study confirms that the SAO defect effectively protects against P. vivax. The erythrocyte polymorphism, Southeast Asian ovalocytosis (SAO) (which results from a 27-base pair deletion in the erythrocyte band 3 gene, SLC4A1Δ27) protects against cerebral malaria caused by Plasmodium falciparum; however, it is unknown whether this polymorphism also protects against P. vivax infection and disease. 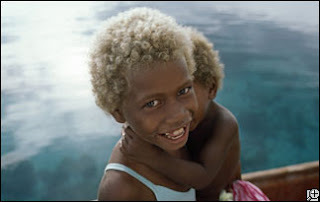 The association between SAO and P. vivax infection was examined through genotyping of 1,975 children enrolled in three independent epidemiological studies conducted in the Madang area of Papua New Guinea. SAO was associated with a statistically significant 46% reduction in the incidence of clinical P. vivax episodes (adjusted incidence rate ratio [IRR] = 0.54, 95% CI 0.40–0.72, p<0.0001) in a cohort of infants aged 3–21 months and a significant 52% reduction in P. vivax (blood-stage) reinfection diagnosed by PCR (95% CI 22–71, p = 0.003) and 55% by light microscopy (95% CI 13–77, p = 0.014), respectively, in a cohort of children aged 5–14 years. SAO was also associated with a reduction in risk of P. vivax parasitaemia in children 3–21 months (1,111/µl versus 636/µl, p = 0.011) and prevalence of P. vivax infections in children 15–21 months (odds ratio [OR] = 0.39, 95% CI 0.23–0.67, p = 0.001). In a case-control study of children aged 0.5–10 years, no child with SAO was found among 27 cases with severe P. vivax or mixed P. falciparum/P. vivax malaria (OR = 0, 95% CI 0–1.56, p = 0.11). SAO was associated with protection against severe P. falciparum malaria (OR = 0.38, 95% CI 0.15–0.87, p = 0.014) but no effect was seen on either the risk of acquiring blood-stage infections or uncomplicated episodes with P. falciparum. Although Duffy antigen receptor expression and function were not affected on SAO erythrocytes compared to non-SAO children, high level (>90% binding inhibition) P. vivax Duffy binding protein–specific binding inhibitory antibodies were observed significantly more often in sera from SAO than non-SAO children (SAO, 22.2%; non-SAO, 6.7%; p = 0.008). In three independent studies, we observed strong associations between SAO and protection against P. vivax malaria by a mechanism that is independent of the Duffy antigen. P. vivax malaria may have contributed to shaping the unique host genetic adaptations to malaria in Asian and Oceanic populations.